You name the industry, women have made some fairly substantial inroads. From the blue collar professions of manufacturing and commercial trucking to the more high-profile settings of professional sports and arts and entertainment, women haven't just broken through glass ceilings - they've shattered them. The latest example? Banking, as an increasing number of females are assuming roles as heads of major financial institutions. Over the last few years, banks, branches and credit unions have announced either the hiring or promotions of women into roles that have long been held predominantly by men. In March 2019, for example, Kelly Skalicky was named CEO and president of Stearns Bank, a nationwide charter bank selling financial products and services to both consumers and business owners. Skalicky was already working for the company as general counsel, so the new position is a promotion after more than two decades of service to the 107-year-old financial institution based in the Midwest. "I am humbled and honored to accept this new role," Skalicky said in a press release. "It is a privilege and, frankly, an enormous amount of fun for me to work with my father on a daily basis, and I relish this new opportunity." Wells Fargo, one of the best-known financial institutions in the world, is also in hiring mode, looking for its next chief executive. According to American Banker, many of the potential candidates up for consideration include Mary Callahan Erdoes of JPMorgan Chase; Marianne Lake, who is currently serving as head of asset and wealth management for JPMorgan; and Mary Mack, whose title at Wells Fargo is head of consumer banking. The fact that more women are not only being hired, but being actively considered for executive positions, is a fairly recent phenomenon in the banking profession, despite females accounting for the majority of sector's employees (52 percent). According to analysis from the Business School Observatory on the Feminisation of Companies, just 16 percent of executive committees among banks worldwide include women. They do have greater representation in general management, however, at 38 percent. "U.S.-based banks still have room for improvement." While financial institutions within the U.S. seem to be doing a better job at inclusion and leveling the playing field, they still has plenty of room for improvement, as Sweden (45 percent), France (35 percent) and Canada (34.5 percent) are the top three countries in the world with the greatest representation of women sitting on boards of directors of banking institutions. However, the U.S. seems to be catching up rather quickly, as in addition to the aforementioned women, Bank of America (COO Cathy Bessant), CIT Group (CEO and Chairperson Ellen Alemany), Bank of the West (CEO and President Nandita Bakhshi) and HSBC (Global Head of Liquidity and Cash Management Diane Reyes) all have females occupying prestigious positions, American Banker reported. 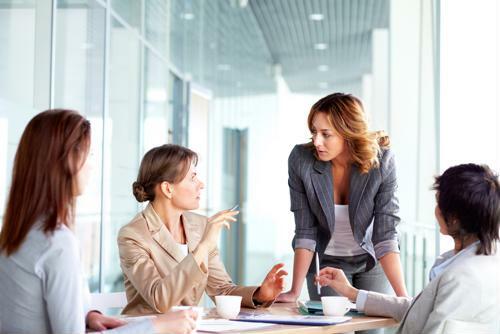 Sheila Ronning, founder of Women in the Boardroom, recently noted in an opinion piece that women have a lot to offer that goes above and beyond their qualifications. "Because women bring different knowledge, experiences and values to the boardroom table, their shared perspectives bring cognitive variety that creates space for debate and informed decision-making," Ronning explained. She added that greater gender diversity is a net positive for the banking companies that make this a priority because it provides them with a competitive edge, as studies have shown that companies, regardless of industry, tend to perform better when women are in leadership roles. Comprehensive levels of gender diversity won't be achieved overnight. However, it's clear that women are breaking new grounds and carving a path for young people by showing them what's possible through hard work and persistence.